Censorship, offence and freedom of speech - has conformity curtailed debate? The timely event comes as the world experiences a period of extraordinary turbulence and change. There have been two major political earthquakes in the UK and the US alone in the past six months, the impact of which will be felt for years to come. In the build-up to both the EU Referendum and the U.S. Elections, the political and public discourse has become increasingly visceral and polarised. This, some members of the panel suggested is, in part, a reaction to the increasing tendency to close down debate through censorship of those with views that contradict one’s own by branding them offensive. The Contrarian Prize aims to recognise individuals in British public life that stand up for their principles and demonstrate independence, courage and sacrifice. It was conceived in 2013 and previous winners include Sir Clive Stafford Smith, Founder and Director of Reprieve; Michael Woodford, former CEO of Olympus and Simon Danczuk MP. “The inability to express ones feelings openly on issues such as immigration has, in my view, led people to rail against the cosy, neo-liberal consensus. In the space of five months – first Brexit and then the election of Donald Trump – has seen the established order raised to the ground. In today’s world, the forgotten people are the biggest contrarians. Independence of thought, standing up for what you believe and challenging the status quo has never been more important”. 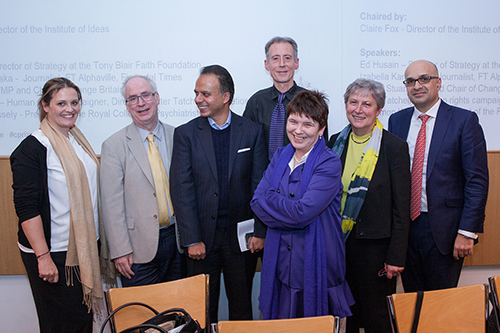 Watch the full debate on the Cass Business School YouTube channel.